Check out our diamond forum. Chat with others that love diamonds. 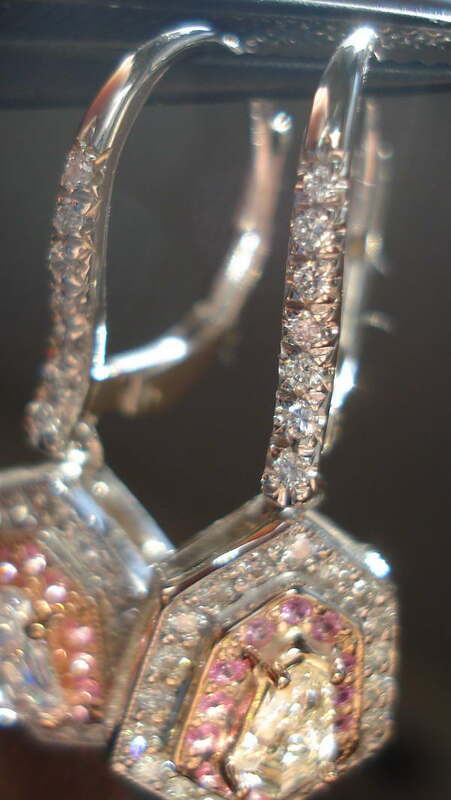 This pair of earrings actually started out as two diamond pendants. They are extremely eye catching. But we thought that the design would actually make a smashing pair of earrings. The workmanship is first rate throughout. 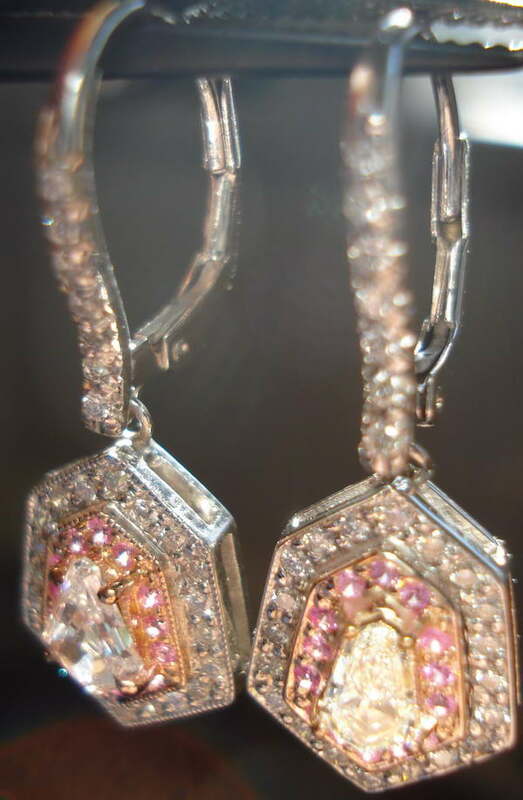 These Pink Sapphires are bright. 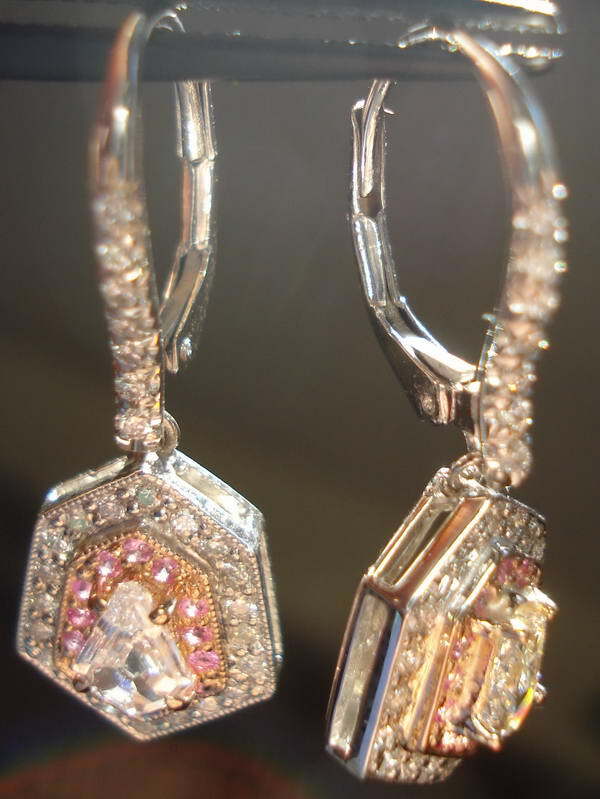 The earrings are crafted in 14karat pink and white gold.